Atelier Plastic and Cosmetic Surgery is a specialist practice working across all areas of plastic and cosmetic surgery, focusing on aesthetics, hand surgery and paediatrics. 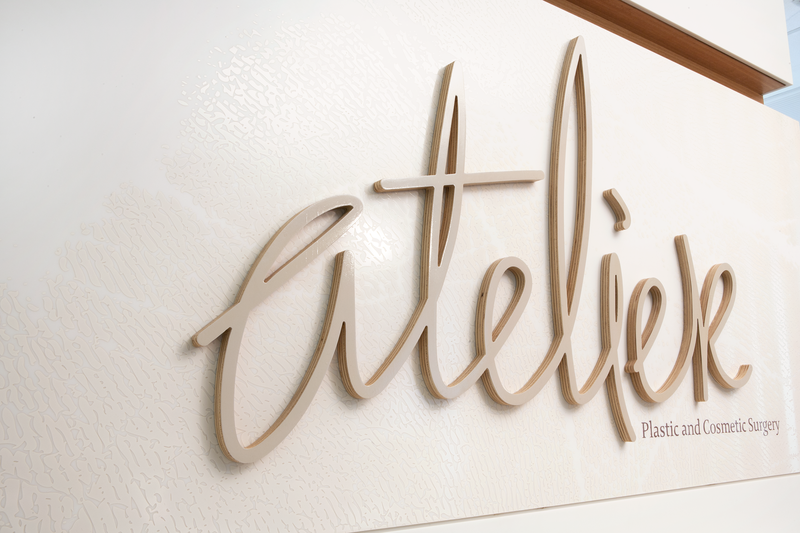 The task was to create a tasteful, contemporary signature mark and visual identity to position Atelier as a premium enterprise, reflecting the high levels of expertise and ethical standards of the principals, and presenting a compelling visual story about their experience, professionalism and the positive outcomes that are achieved. Brand and Environmental Graphics for Atelier’s new studio in Chatswood.